Finale – Write with us! As we move into our final week of TT Patton’s summer writing programs, I realize just how much has been accomplished in the last eight weeks. Every session of creative writing or screenplay writing here begins with similar aims–to get kids writing, to get them loving what they write, finding an outlet in their words, sharing work, inspiring each other. And yet, each session ends on a unique note–some of our young writers have finally grown the courage to stand up in front of their peers and read a poem they’ve written about a personal experience, some writers surprise me with expressions of gratitude at the end of the week, explaining how they’ve come to like writing here at camp. Our screenplay campers were all absolute stars from day one, and turned the shop into a stage for their script reading on Friday. 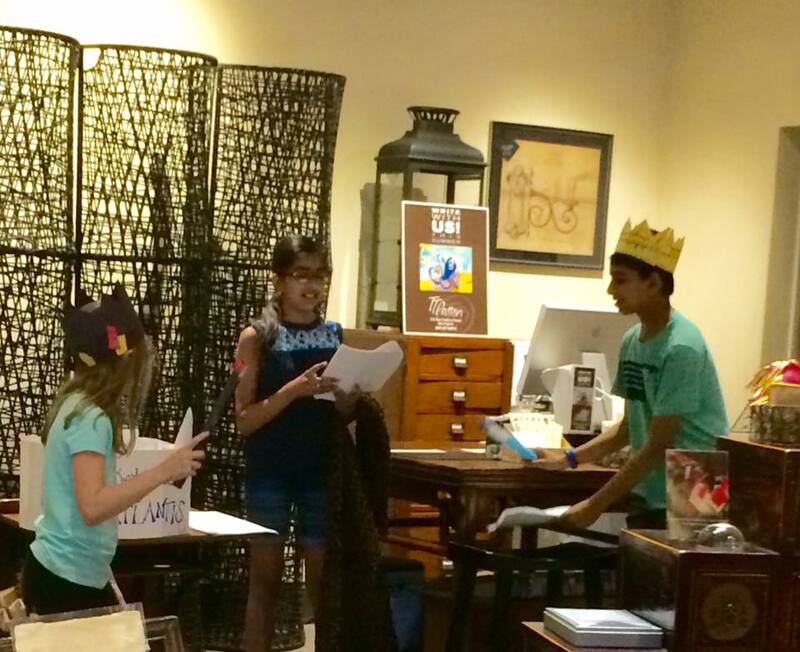 The young writers easily formed a team, brainstorming and developing complex characters together, constructing a strong plot line, all the way down to crafting their own props for their performance. The screenplay the team finalized throughout the week, inspired by film clips from classics like the Wizard of Oz and Charlie and the Chocolate factory was nothing less than impressive.